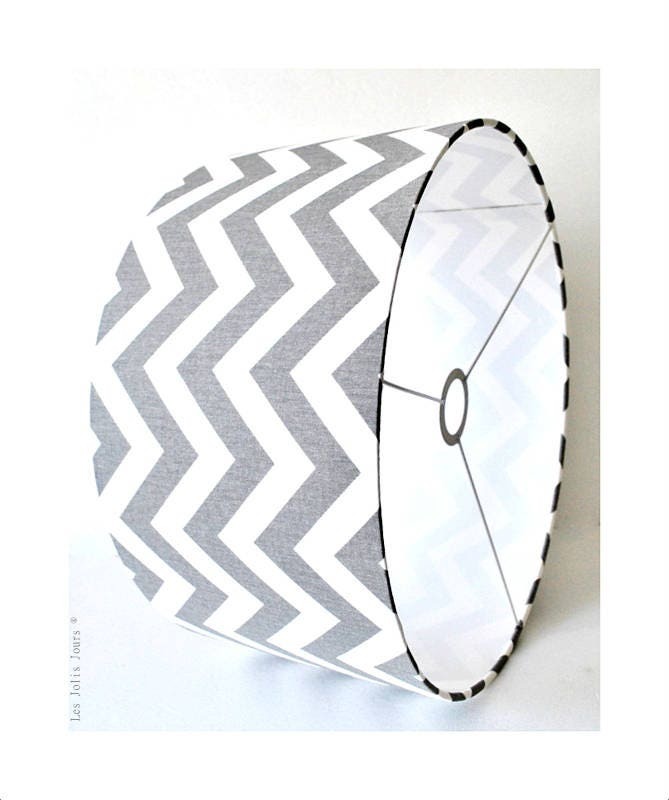 The ZIGZAG Lampshade, a elegant simplicity will bring a modern touch to your home. 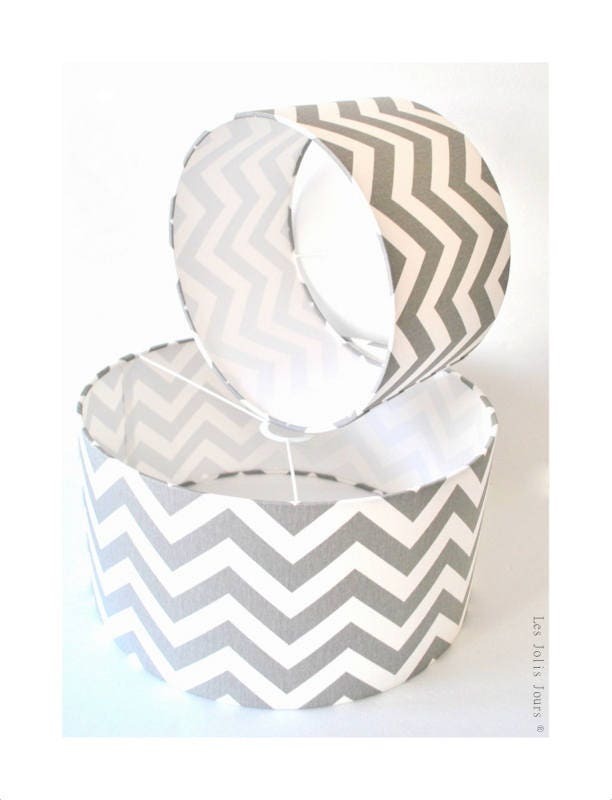 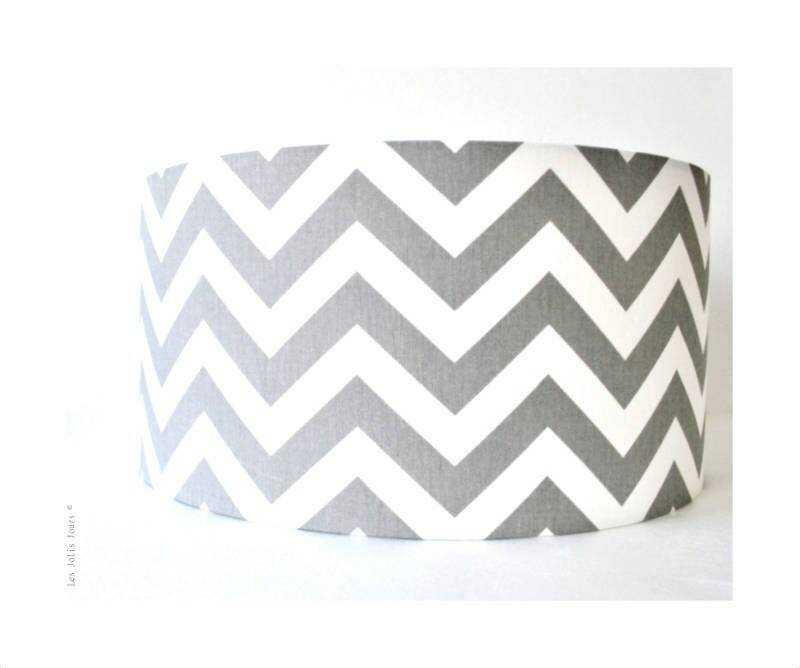 Cylindrical Lampshade iron and covered with grey & white Chevron cotton fabric polyphane (PVC non flammable). 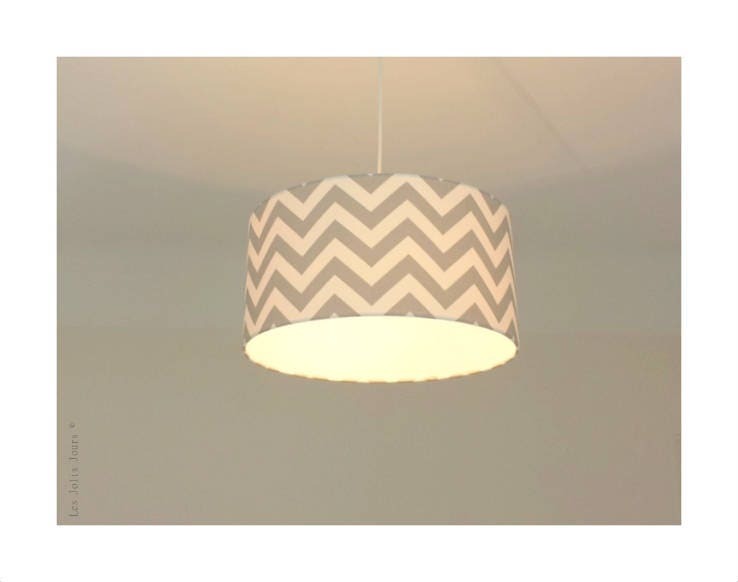 PICTURED: 40 O and O 30 cm.